Christopher Walker is a law professor at The Ohio State University Moritz College of Law. 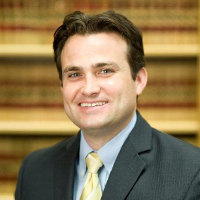 His publications have appeared in the Michigan Law Review, Minnesota Law Review, Stanford Law Review, and University of Pennsylvania Law Review, among others. He blogs regularly at the Yale Journal on Regulation and the Section Editor for Jotwell’s Administrative Law Section. Professor Walker brings to his administrative law scholarship and to the classroom extensive practical experience of having worked in all three branches of the federal government as well as in private practice. Prior to joining the law faculty, he clerked for Justice Anthony M. Kennedy of the U.S. Supreme Court and Judge Alex Kozinski of the U.S. Court of Appeals for the Ninth Circuit. He also worked for several years at a litigation boutique in Washington, D.C., as well as on the Civil Appellate Staff at the U.S. Department of Justice, where he represented federal agencies and defended federal regulations in a variety of contexts. During the first half of 2017, he served as an academic fellow on the Senate Judiciary Committee, working on the Gorsuch Supreme Court confirmation as well as on regulatory reform legislation for Senator Orrin Hatch. Outside the law school, he serves as one of forty Public Members of the Administrative Conference of the United States and on the governing council for the American Bar Association’s Section on Administrative Law and Regulatory Practice. Professor Walker received his law degree from Stanford and a master’s in public policy from Harvard’s Kennedy School of Government.